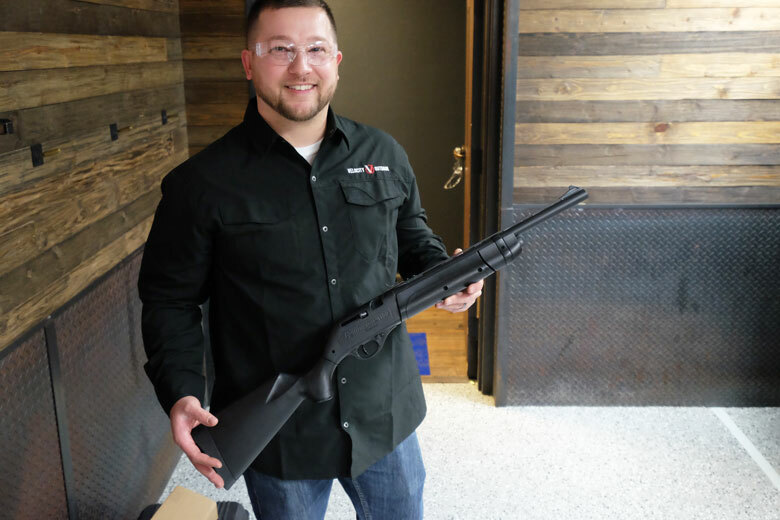 Velocity Outdoor (the former Crosman Corporation) launched the new Bushmaster MPW full auto BB Gun and more at a pre-SHOT Show event. 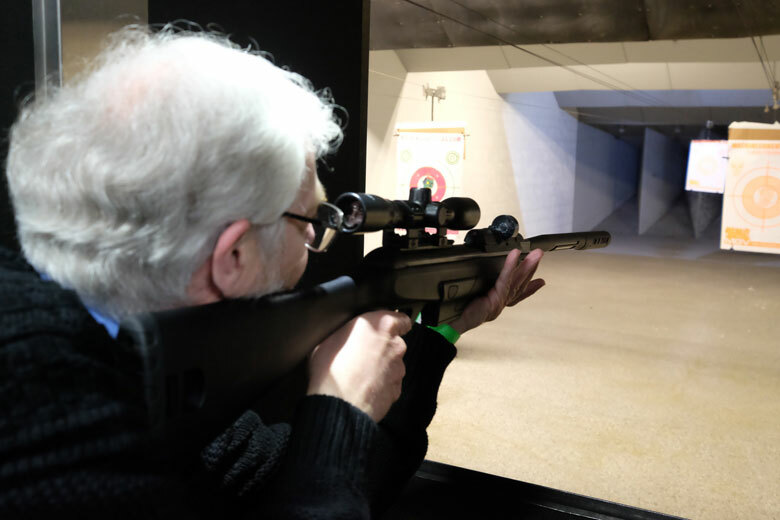 The launch even was held at Machine Guns Vegas and gave attendees the opportunity to both handle and shoot the new airguns. 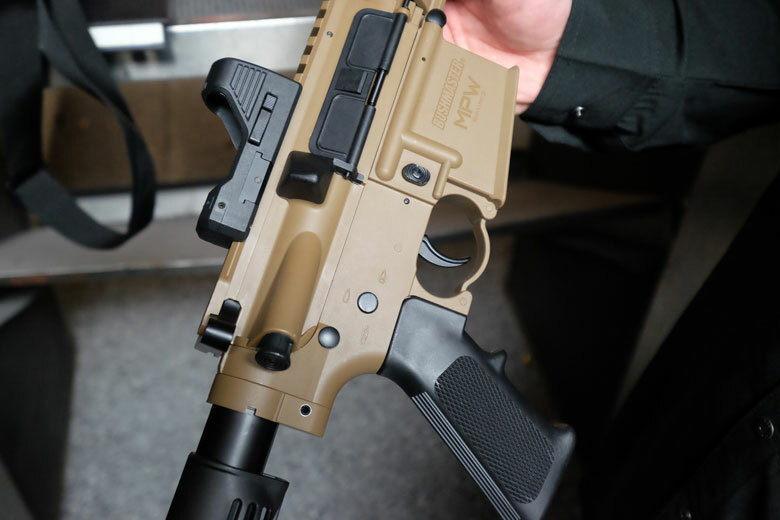 At first, I thought the new Bushmaster MPW full auto BB gun was the huge-selling Crosman DPMS SBR in Flat Dark Earth coloring. But I was wrong! 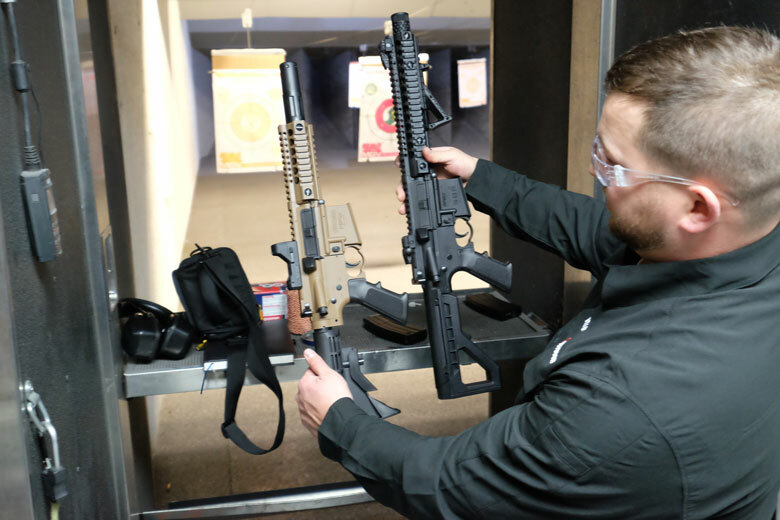 The Bushmaster MPW full auto BB Gun is actually smaller than the DPMS, as Airgun Product Manager Phillip Guadalupe demonstrates, below. 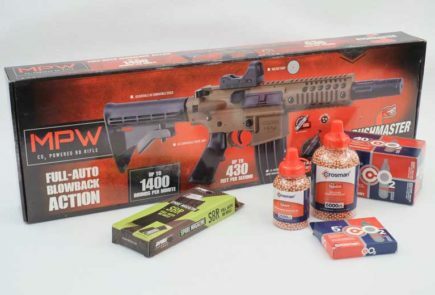 The Bushmaster MPW full auto BB gun is planned to be available in stores from about April 2019 with a MSRP of $199. 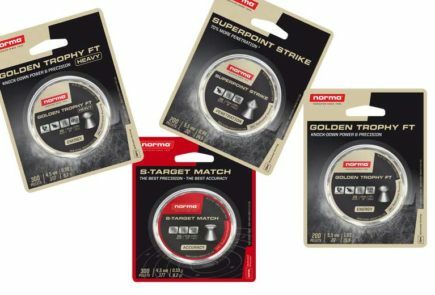 Among other new products was a new “Generation Two” version of the Benjamin Fortitude. This will be available in March 2019, at the same price as the original version. The main changes for this Gen. Two Fortitude are the provision of a lighter hammer spring. Hammer spring tension can be adjusted in the same manner as the Marauder, through the rear of the air tube. This is the only differentiating major external difference between the two versions. 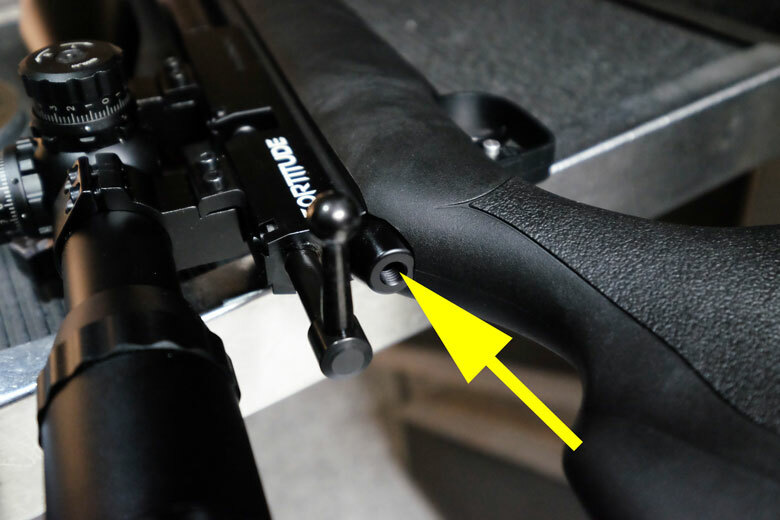 This new hammer spring adjuster makes it possible for the owner to tune performance of the Gen Two Fortitude for higher FPS and less consistent shots or lower FPS and more consistent shots. 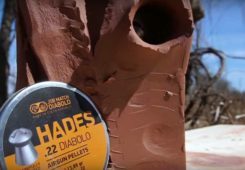 The lighter hammer spring also allows for a significantly lighter trigger pull weight – Phillip Guadalupe told me – thus addressing one of the few complaints about the Generation One Fortitude. 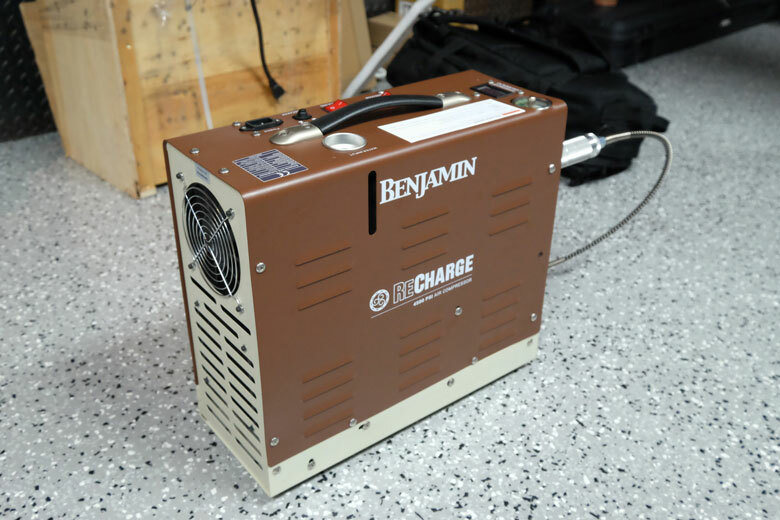 This SHOT Show preview was also the first public sighting of the new Benjamin ReCharge HPA Compressor. This is a mid-range compressor deigned to fill large HPA tanks. It’s a clear stage above the Benjamin Traveler portable HPA compressor which is designed to fill guns directly. 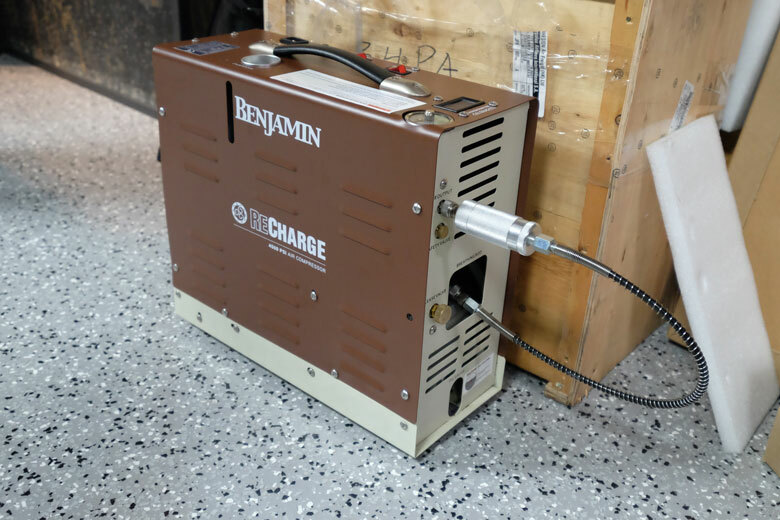 In size and appearance, the Benjamin ReCharge bears a distinct resemblance to an old desktop PC computer. The MSRP is to be $1399 and availability is scheduled for May 2019. The new Benjamin Mag-Fire was also at the event. This is scheduled to be in stores in June 2019. Although the magazine looks similar to that from the Marauder. It’s actually slightly different. Next, there’s a blast from the past! 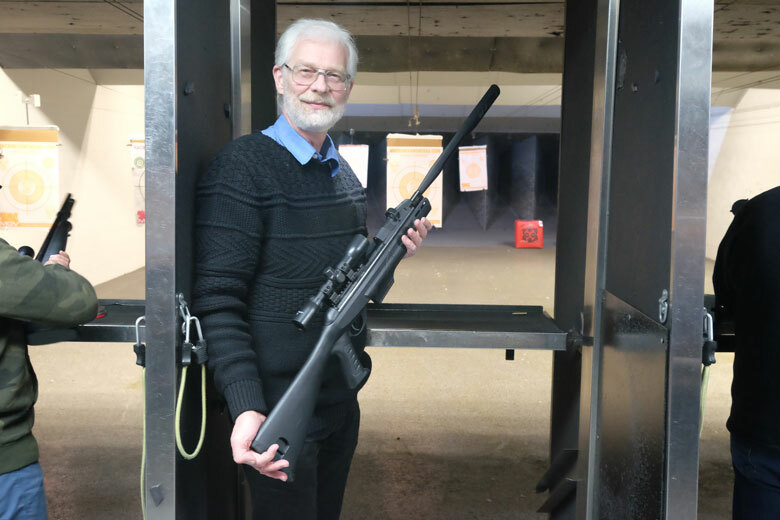 You may remember the old Crosman NightStalker – a CO2-powered fast-firing carbine from 2005. 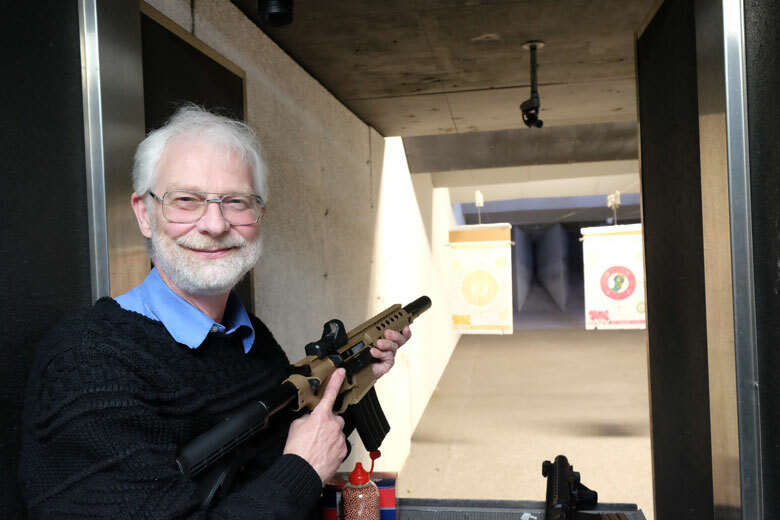 Well, now the name is back and it’s in use for a new CO2-powered pistol. It’s also rendered slightly differently as Nigh Stalker, instead as one word. 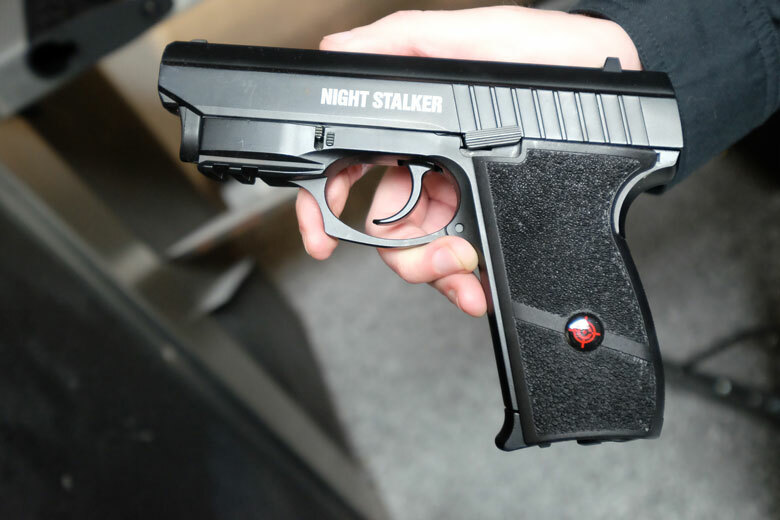 The new Crosman Night Stalker is a blowback pistol with a metal slide and a built-in laser. Again, it’s planned to be available in May 2019. Finally, Phillip Guadalupe showed me the new Remington 1100. 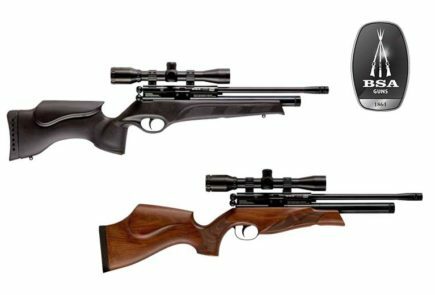 This is a “shotgun-styled” BB and pellet-firing gun that is based on Crosman 760 internals. The MSRP is to be around $55 and availability is set for April 2019.